Kotobukiya is going to release the Hasegawa Kobato ( 羽瀬川小鳩 ) Repackage Edition ( リパッケージ版 ) 1/8 PVC figure figure from the light novel/manga “Boku wa Tomodachi ga Sukunai” ( 僕は友達が少ない, I don’t have many friends). Will be released in April 2019. Around 165mm tall, 9,200 yen. 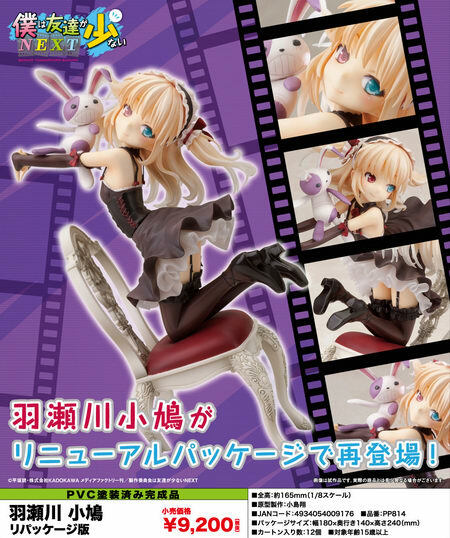 This Kobato statue is true to her character in the show, from her red contact lens down to her vampire/goth inspired black dress, based on the cover illustration from the fifth episode Blu ray/DVD set. 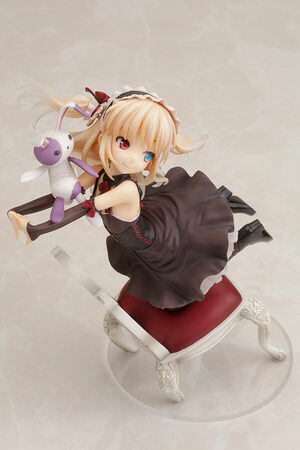 Kobato is nearly 17 cm/7 in tall as she kneels precariously on an ornate, tipping chair. 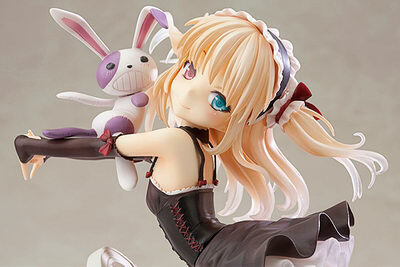 Highly sculpted detail from the folds in her dress and flowing hair, down to the stuffed rabbit toy she holds. Kobato looks great on her own, or alongside previous releases from I Don’t Have Many Friends such as the Sena Kashiwazaki or Yozora Mikazuki statues!